I'm so happy. It's a PE day and it's my birthday and I'm going to see Mockingjay Part 1 tomorrow and I was listening to Daughtry and then I thought I would go back and look over my old blog posts. So, I was looking overthem and I had a momentary heart attack when I realized, I HAVE NEVER DONE A POST ON DAUGHTRY! 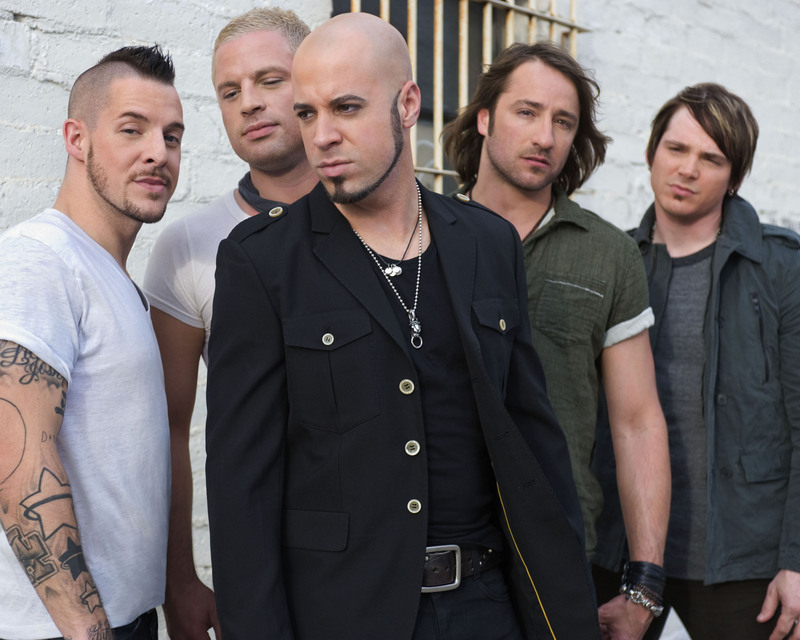 Daughtry is my all time favourite band and has been for about five years. I own almost every song they've ever put out. I have two types of likes when it comes to musical artists. I have those I properly fangirl over, as in "OHMYGOODNESSWHYMUSTYOUBESOATTRACTIVEANDYOURMUSICANDGAHH." Bands like 5 Seconds of Summer and kind of One Direction (although the latter is starting to transfer to the other kind of like). Then I have the other type, where I am in love with their music. I may not know the age, birth place or birthday of every member. Heck, I can't even name the backup musicians in Daughtry. But their music is something I can relate to on every level. 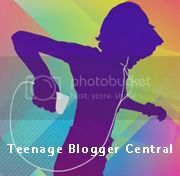 It's what I listen to when I'm happy, when I'm sad, when I'm excited. Just, all the time. I couldn't care less about their looks, I just love the music they produce. It's amazingly written, I love the lyrics and the melodies and the vibes. Ed Sheeran fits this and so does Daughtry. I could rant and rave about how amazing they are until I'm blue in the face. But I'll spare you the lecture and show you the music instead. By the way, you need to know that I have managed to take four albums, over 50 songs and compile them into a small blog post. I think I deserve an award that says, "You are the Queen of narrowing things down to fit into your blog posts" or something like that. But heads up, this is going to be a long post. I'm going to start with my favourites from his first album, titled "Daughtry". I had this song on repeat for at least a year. I liked this guy but it had gone past the point of butterflies and into the point of "Flagnabbit! Why can't I get over you? I hate liking you!" Anywho, our friendship was kind of odd and fairly dysfunctional and I would sing this song over and over and when I finally did get over him, it was my victory song. I really like the song also as just a song, apart from my personal relation to it. It's very much a power song. I love this song. It's also my sister's favourite song by Daughtry. We'll turn this one up in the car and sing really loudly and roll the windows down. This one doesn't particularly have a personal connection, it's just a really good, rock song. Love the concept and the imagery. And now "Leave This Town". I think this one is probably my second favourite album by him. Or favourite. GAH, THIS IS SO HARD. This is my favourite song. Ever. I have such a personal connection to this song. It's beautifully written. It starts off with a slower, almost regretful tone. As the song moves along, you realize that he's looking back on memories past, looking at where he is now and seeing that he is better off because of the memories. The guitars in this song add deepness to the song that no other instrument could capture. They become louder to emphasize different parts of the song and then quiet down to give the piece a thoughtful tone. The chimes at the beginning of the song give it an almost country fell. They make you feel like an old tumbleweed merely bounding along taking glances at things passed as you roll by. As the song draws to a close, the tempo slows, but in a peaceful way. It makes you feel like something has ended, that it’s final, that it’s finished. It's amazing and even after playing it over a thousand times (thanks iTunes for the count), I still get goosebumps listening to this song. Yet another incredible power song. I love the way this song builds and grows. This one is also another one of my sister's favourites by Daughtry. The music video is also really cool. I like the way the band shots are set up. I really like the feel of this song, the way the melody starts so simply and the way it builds throughout the song. I also like the minor key of this song. It's not a super relatable song, but I like the way the lyrics are written. "Lessons learned/and bridges burned to the ground." Mwah! Amazing imperfect rhyme. Beautiful. And Daughtry's voice is just so intense. Alright, this one's very relatable. I would listen to this one with 'Over You'. First, I love the almost bare minimum feel. It's like they only used a set of drums, a guitar and him. Second, I love, love the message. I mean, it was like this guy had read every thought I'd ever had towards this guy and put them in a song. "Just when I think you're gone/You come back and turn it on/And just like a simple song/I can't get you outta my head". Definitely relatable. This album was filled with songs like this one and at the time it was completely relatable. Unfortunately for me, about two weeks after it was released, I got kicked in the head and had a concussion for six months, which kinda put the binge listening on hold. There are so many great songs on this album! It's so hard to narrow them down! This was a different sound for Daughtry, it contrasted with much of the album, but I'm really glad he included it. It has such an innocence and sweetness. I really like it, because it's sweet and sappy, but it talks about it just being the beginning, not the end, not a goal that's been achieved. I guess the only way I can think to describe it is innocent. It's about liking someone and being a bit nervous and not wanting to scare the other person away, but knowing that there's something between the two of you that's good and finally telling that person. Alright, unless you are absolutely loving this and can't stop, go take a five minute break. Eat a cookie. Jog around your living room. Hug someone. We're three quarters of the way through!! I love, love, love this song so much. I love the beat and slightly more pop-y sound. I love the theme. I love the way he portrays the girl as imperfect. The lyrics are incredibly amazing. "She's talking to angels, counting the stars, making a wish on a passing car. She's dancing with strangers, falling apart, waiting for Superman to pick her up". The music video is so sweet as well. Every time I hear the line "And she smiles, oh the way she smiles" I smile. Every time. The lyrics are what truly make this song. They're just so clever. I really love the message; I find it encouraging and sweet. It's basically about this girl who was so free and bright and smart and "wild" but her life hasn't been kind to her and her "wild heart" has been dimmed and he's saying, "I know you're still in there! I know you still have your wild heart. Take me back to it." Favourite lyrics from this song are "You would rock around the ball room/dance in the bar." I just think it's such a cool contrast and really clever. I really love this song. I know I keep saying that, but hey, that's what makes Daughtry my favourite artist. This song is so nostalgic, I love it. I love nostalgic songs. It's basically about these two people who were childhood friends and now they're older and looking back on their childhood/teen memories. The video above, is actually a music video I filmed, directed and edited and I'm actually pretty proud of it! This song hits me right in the feels. It's so adorable. It's this guy who is writing a song to his love but it's not poetical or perfect or even pretty. It's not deep or flowery. It's real. It's just... just listen to it. I can't explain it. It's a ukelele and this guy just singing to his girl. It's like he's trying to write something sweet and romantic but this is what he comes up with and it's way better. Honourable mentions: Literally every other song. But at the top would be Baptized, I'll Fight, Broken Arrows and Traitor. Yes! Daughtry! Cinderella is such a good song! Ooh! A thing! It looks like an awesome thing; I shall definitely partake in the tag. Great idea!